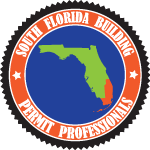 This is your one-stop-shop for all the forms and applications you might use when obtaining building permits within the tri-county area of south florida. Our qualified permit expediters provide a full range of services within the markets listed above. Know when you choose us, you've chosen experience, dedication and quality.